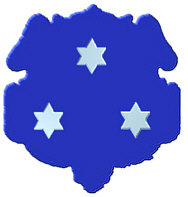 Blue with three silver stars. Crest: A mermaid holding a mirror. 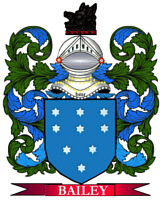 Coat of Arms: A blue shield with three silver stars. 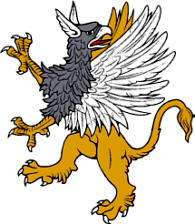 Crest: A griffin segreant proper.